Thank you for visiting another one of Mercedes-Benz of Temecula's online listings! Please continue for more information on this 2016 Mercedes-Benz C-Class C 300 Sport with 51,660mi. CARFAX BuyBack Guarantee is reassurance that any major issues with this vehicle will show on CARFAX report. This vehicle was engineered to be both economically and environmentally friendly with exceptional fuel efficiency. Look no further, you have found exactly what you've been looking for. More information about the 2016 Mercedes-Benz C-Class: The C-Class has traditionally been Mercedes-Benz' entry-level car. However, with the arrival of the CLA, the C-Class is no longer the German automaker's least expensive model. Mercedes-Benz has packed the 2016 C-Class full of upscale technology, determined to make the car feel anything but entry level. Despite this move upmarket, pricing on the C-Class remains competitive with other European small sedans such as the BMW 3-series. The 2016 C-Class starts at around $40,000. This model sets itself apart with high-end features, all-wheel drive, Attractive modern styling, fuel-efficient diesel and hybrid engines, plus powerful turbocharged engines, and typical Mercedes-Benz luxury Why Mercedes-Benz of Temecula Welcome to Mercedes-Benz of Temecula. We are proud to say we have access to a wide selection of new and pre-owned Mercedes-Benz models. Offering a world-class guest experience and Preferred Owner amenities, we are sure to be your #1 destination for all your car buying, financing, and servicing needs. We invite you to visit our dealership at 40910 Temecula Center Drive in Temecula. Mercedes-Benz of Temecula has a wide selection of exceptional pre-owned vehicles to choose from, including this 2016 Mercedes-Benz CLA. Your buying risks are reduced thanks to a CARFAX BuyBack Guarantee. You could spend more on fuel each month than on your vehicle payments, so why not consider one with exceptional fuel economy like this 2016 Mercedes-Benz CLA. In addition to being well-cared for, this Mercedes-Benz CLA has very low mileage making it a rare find. More information about the 2016 Mercedes-Benz CLA: The Mercedes-Benz CLA is the German automaker's attempt to compete with the likes of the diminutive Audi A3 and the BMW 1-series. As the price of gasoline continues to rise, compact luxury cars get more and more popular. Buyers will continue to want all of the technology and luxury features of larger cars without the size or fuel consumption. Mercedes-Benz hopes that attractive styling, a low base price, an upscale name and lots of luxury know-how will be enough to convince buyers to take a serious look at the CLA. Strengths of this model include Efficient usage of space, beautiful styling, economical pricing, good performance, optional all-wheel drive Why Mercedes-Benz of Temecula Welcome to Mercedes-Benz of Temecula. We are proud to say we have access to a wide selection of new and pre-owned Mercedes-Benz models. Offering a world-class guest experience and Preferred Owner amenities, we are sure to be your #1 destination for all your car buying, financing, and servicing needs. We invite you to visit our dealership at 40910 Temecula Center Drive in Temecula. 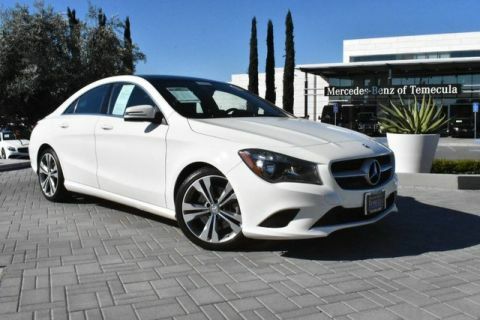 Contact Mercedes-Benz of Temecula today for information on dozens of vehicles like this 2016 Mercedes-Benz CLA CLA 250. Drive home in your new pre-owned vehicle with the knowledge you're fully backed by the CARFAX Buyback Guarantee. Meticulously inspected -- Worry-free -- Quality assured. All of this comes with a Certified vehicle, like this 2016 Mercedes-Benz. Why spend more money than you have to? This Mercedes-Benz CLA will help you keep the extra money you'd normally spend on gas. It's not often you find just the vehicle you are looking for AND with low mileage. This is your chance to take home a gently used and barely driven Mercedes-Benz CLA. More information about the 2016 Mercedes-Benz CLA: The Mercedes-Benz CLA is the German automaker's attempt to compete with the likes of the diminutive Audi A3 and the BMW 1-series. As the price of gasoline continues to rise, compact luxury cars get more and more popular. Buyers will continue to want all of the technology and luxury features of larger cars without the size or fuel consumption. Mercedes-Benz hopes that attractive styling, a low base price, an upscale name and lots of luxury know-how will be enough to convince buyers to take a serious look at the CLA. 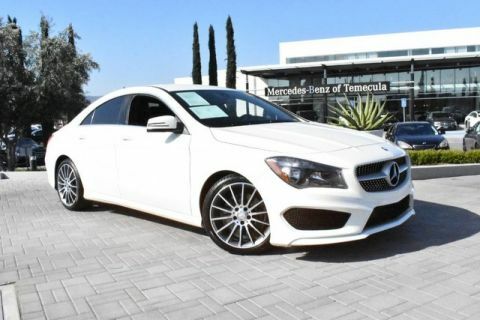 This model sets itself apart with Efficient usage of space, beautiful styling, economical pricing, good performance, optional all-wheel drive Why Mercedes-Benz of Temecula Welcome to Mercedes-Benz of Temecula. We are proud to say we have access to a wide selection of new and pre-owned Mercedes-Benz models. Offering a world-class guest experience and Preferred Owner amenities, we are sure to be your #1 destination for all your car buying, financing, and servicing needs. We invite you to visit our dealership at 40910 Temecula Center Drive in Temecula. Thank you for your interest in one of Mercedes-Benz of Temecula's online offerings. Please continue for more information regarding this 2015 Mercedes-Benz GLA-Class GLA 250 with 0mi. This vehicle is loaded with great features, plus it comes with the CARFAX BuyBack Guarantee. This versatile SUV is perfect for families or contractors with its oversized cargo area, exceptional horsepower and option upgrades. You could spend more on fuel each month than on your vehicle payments, so why not consider one with exceptional fuel economy like this 2015 Mercedes-Benz GLA-Class. More information about the 2015 Mercedes-Benz GLA-Class: Mercedes-Benz enters the increasingly crowded luxury compact crossover segment with the GLA-Class. Its sedan underpinnings and small stature make it a nimble performer, with favorable comparison against completion from BMW and Audi. The high-performance GLA 45 AMG® takes things to a different level, however, and nothing from any manufacturer can rival it. Interesting features of this model are superb power in AMG® guise, available technology and safety features, athletic handling, and Overall execution feels upscale and exclusive Why Mercedes-Benz of Temecula Welcome to Mercedes-Benz of Temecula. We are proud to say we have access to a wide selection of new and pre-owned Mercedes-Benz models. Offering a world-class guest experience and Preferred Owner amenities, we are sure to be your #1 destination for all your car buying, financing, and servicing needs. We invite you to visit our dealership at 40910 Temecula Center Drive in Temecula. Mercedes-Benz of Temecula has a wide selection of exceptional pre-owned vehicles to choose from, including this 2016 Mercedes-Benz CLA. When you purchase a vehicle with the CARFAX Buyback Guarantee, you're getting what you paid for. 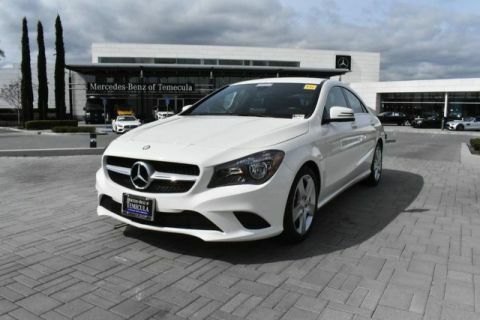 As a Certified Pre-Owned vehicle, this Mercedes-Benz CLA CLA 250 offers you the peace of mind because you know it has been rigorously inspected to meet exacting standards. Everyone hates the gas pump. Skip a few gas stations with this super fuel efficient Mercedes-BenzCLA. A Mercedes-Benz with as few miles as this one is a rare find. This CLA CLA 250 was gently driven and it shows. More information about the 2016 Mercedes-Benz CLA: The Mercedes-Benz CLA is the German automaker's attempt to compete with the likes of the diminutive Audi A3 and the BMW 1-series. As the price of gasoline continues to rise, compact luxury cars get more and more popular. Buyers will continue to want all of the technology and luxury features of larger cars without the size or fuel consumption. Mercedes-Benz hopes that attractive styling, a low base price, an upscale name and lots of luxury know-how will be enough to convince buyers to take a serious look at the CLA. This model sets itself apart with Efficient usage of space, beautiful styling, economical pricing, good performance, optional all-wheel drive Why Mercedes-Benz of Temecula Welcome to Mercedes-Benz of Temecula. We are proud to say we have access to a wide selection of new and pre-owned Mercedes-Benz models. Offering a world-class guest experience and Preferred Owner amenities, we are sure to be your #1 destination for all your car buying, financing, and servicing needs. We invite you to visit our dealership at 40910 Temecula Center Drive in Temecula. Mercedes-Benz of Temecula has a wide selection of exceptional pre-owned vehicles to choose from, including this 2016 Mercedes-Benz GLA. How to protect your purchase? CARFAX BuyBack Guarantee got you covered. Meticulously inspected -- Worry-free -- Quality assured. All of this comes with a Certified vehicle, like this 2016 Mercedes-Benz. This Mercedes-Benz GLA offers all the comforts of a well-optioned sedan with the utility you demand from an SUV. Why spend more money than you have to? This Mercedes-Benz GLA will help you keep the extra money you'd normally spend on gas. The GLA GLA 250 is well maintained and has just 27,803mi. This low amount of miles makes this vehicle incomparable to the competition. More information about the 2016 Mercedes-Benz GLA: Mercedes-Benz enters the increasingly crowded luxury compact crossover segment with the GLA-Class. Its sedan underpinnings and small stature make it a nimble performer, with favorable comparison against competition from BMW and Audi. The high-performance GLA 45 AMG® takes things to a different level, however, and nothing from any manufacturer can rival it. Interesting features of this model are athletic handling, superb power in AMG® guise, and Available technology and safety features Why Mercedes-Benz of Temecula Welcome to Mercedes-Benz of Temecula. 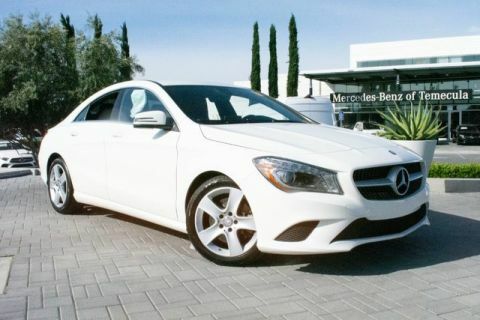 We are proud to say we have access to a wide selection of new and pre-owned Mercedes-Benz models. Offering a world-class guest experience and Preferred Owner amenities, we are sure to be your #1 destination for all your car buying, financing, and servicing needs. We invite you to visit our dealership at 40910 Temecula Center Drive in Temecula. 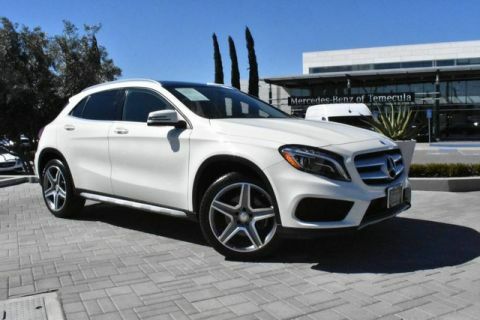 This outstanding example of a 2016 Mercedes-Benz GLA GLA 250 is offered by Mercedes-Benz of Temecula. Drive home in your new pre-owned vehicle with the knowledge you're fully backed by the CARFAX Buyback Guarantee. This is a Certified Pre-owned vehicle, so you can feel rest assured that it has been meticulously inspected from top to bottom. As a compact SUV, this vehicle packs all the performance of a full-size into a package that easily navigates the urban terrain. Why spend more money than you have to? This Mercedes-Benz GLA will help you keep the extra money you'd normally spend on gas. This Mercedes-Benz GLA is equipped with AWD for improved handling. Whether you're faced with inclement weather or just out enjoying the twisting back road, you'll have the grip of AWD on your side. One of the best things about this Mercedes-Benz GLA is that it has low, low mileage. It's ready for you to truly break it in. More information about the 2016 Mercedes-Benz GLA: Mercedes-Benz enters the increasingly crowded luxury compact crossover segment with the GLA-Class. Its sedan underpinnings and small stature make it a nimble performer, with favorable comparison against competition from BMW and Audi. The high-performance GLA 45 AMG® takes things to a different level, however, and nothing from any manufacturer can rival it. This model sets itself apart with athletic handling, superb power in AMG® guise, and Available technology and safety features Why Mercedes-Benz of Temecula Welcome to Mercedes-Benz of Temecula. We are proud to say we have access to a wide selection of new and pre-owned Mercedes-Benz models. Offering a world-class guest experience and Preferred Owner amenities, we are sure to be your #1 destination for all your car buying, financing, and servicing needs. We invite you to visit our dealership at 40910 Temecula Center Drive in Temecula. Thank you for your interest in one of Mercedes-Benz of Temecula's online offerings. Please continue for more information regarding this 2016 Mercedes-Benz CLA CLA 250 with 31,561mi. This vehicle is loaded with great features, plus it comes with the CARFAX BuyBack Guarantee. Certified Pre-Owned means certified peace of mind. The Mercedes-Benz CLA CLA 250 speaks volumes about it's driver, uncompromising individuality, passion for driving, and standards far above the ordinary. It's exceptional fuel-efficiency is a clear sign that not all vehicles are created with the same standards. No matter the weather conditions or terrain, this Cirrus White AWD Mercedes-Benz CLA handles with an elegant confidence. Fine interior appointments complement this vehicle's unprecedented performance. In addition to being well-cared for, this Mercedes-Benz CLA has very low mileage making it a rare find. More information about the 2016 Mercedes-Benz CLA: The Mercedes-Benz CLA is the German automaker's attempt to compete with the likes of the diminutive Audi A3 and the BMW 1-series. As the price of gasoline continues to rise, compact luxury cars get more and more popular. Buyers will continue to want all of the technology and luxury features of larger cars without the size or fuel consumption. Mercedes-Benz hopes that attractive styling, a low base price, an upscale name and lots of luxury know-how will be enough to convince buyers to take a serious look at the CLA. Interesting features of this model are Efficient usage of space, beautiful styling, economical pricing, good performance, optional all-wheel drive Why Mercedes-Benz of Temecula Welcome to Mercedes-Benz of Temecula. We are proud to say we have access to a wide selection of new and pre-owned Mercedes-Benz models. Offering a world-class guest experience and Preferred Owner amenities, we are sure to be your #1 destination for all your car buying, financing, and servicing needs. We invite you to visit our dealership at 40910 Temecula Center Drive in Temecula. Looking for a clean, well-cared for 2016 Mercedes-Benz CLA? This is it. This vehicle is loaded with great features, plus it comes with the CARFAX BuyBack Guarantee. Meticulously inspected -- Worry-free -- Quality assured. All of this comes with a Certified vehicle, like this 2016 Mercedes-Benz. The less money you spend at the pump, the more money you'll have to spend on you. So why not consider this wonderfully styled, fuel-efficient Mercedes-Benz CLA. 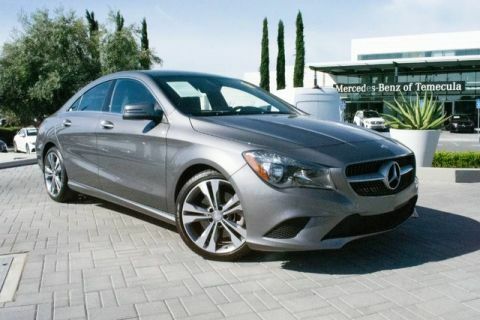 The CLA CLA 250 is well maintained and has just 31,085mi. This low amount of miles makes this vehicle incomparable to the competition. More information about the 2016 Mercedes-Benz CLA: The Mercedes-Benz CLA is the German automaker's attempt to compete with the likes of the diminutive Audi A3 and the BMW 1-series. As the price of gasoline continues to rise, compact luxury cars get more and more popular. Buyers will continue to want all of the technology and luxury features of larger cars without the size or fuel consumption. Mercedes-Benz hopes that attractive styling, a low base price, an upscale name and lots of luxury know-how will be enough to convince buyers to take a serious look at the CLA. This model sets itself apart with Efficient usage of space, beautiful styling, economical pricing, good performance, optional all-wheel drive Why Mercedes-Benz of Temecula Welcome to Mercedes-Benz of Temecula. We are proud to say we have access to a wide selection of new and pre-owned Mercedes-Benz models. Offering a world-class guest experience and Preferred Owner amenities, we are sure to be your #1 destination for all your car buying, financing, and servicing needs. We invite you to visit our dealership at 40910 Temecula Center Drive in Temecula. 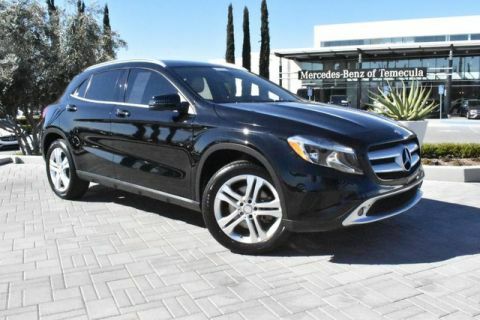 You can find this 2016 Mercedes-Benz GLA GLA 250 and many others like it at Mercedes-Benz of Temecula. Drive home in your new pre-owned vehicle with the knowledge you're fully backed by the CARFAX Buyback Guarantee. 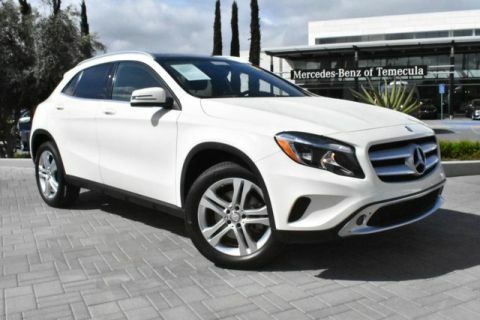 This exceptional 2016 GLA GLA 250 has passed the Mercedes-Benz stringent standards and has been hand-selected to become a Certified Pre-Owned vehicle. The quality of this vehicle will undoubtedly ensure a worry-free buying experience. This SUV is a superb example of what a tough, work focused vehicle should be. Exceptional towing, acceleration and torque will help you get the job done. You don't have to sacrifice style or comfort with this fuel-efficient Mercedes-Benz GLA. Comfort. Performance. Safety. Enjoy all three with this well-appointed AWD 2016 Mercedes-Benz. The GLA GLA 250 has been lightly driven and there is little to no wear and tear on this vehicle. The care taken on this gently used vehicle is reflective of the 38,364mi put on this Mercedes-Benz. More information about the 2016 Mercedes-Benz GLA: Mercedes-Benz enters the increasingly crowded luxury compact crossover segment with the GLA-Class. Its sedan underpinnings and small stature make it a nimble performer, with favorable comparison against competition from BMW and Audi. The high-performance GLA 45 AMG® takes things to a different level, however, and nothing from any manufacturer can rival it. This model sets itself apart with athletic handling, superb power in AMG® guise, and Available technology and safety features Why Mercedes-Benz of Temecula Welcome to Mercedes-Benz of Temecula. We are proud to say we have access to a wide selection of new and pre-owned Mercedes-Benz models. Offering a world-class guest experience and Preferred Owner amenities, we are sure to be your #1 destination for all your car buying, financing, and servicing needs. We invite you to visit our dealership at 40910 Temecula Center Drive in Temecula. Mercedes-Benz of Temecula has a wide selection of exceptional pre-owned vehicles to choose from, including this 2016 Mercedes-Benz GLA. This vehicle is loaded with great features, plus it comes with the CARFAX BuyBack Guarantee. This is a Certified Pre-owned vehicle, so you can feel rest assured that it has been meticulously inspected from top to bottom. This SUV is a superb example of what a tough, work focused vehicle should be. Exceptional towing, acceleration and torque will help you get the job done. Stylish and fuel efficient. It's the perfect vehicle for keeping your fuel costs down and your driving enjoying up. It's not often you find just the vehicle you are looking for AND with low mileage. This is your chance to take home a gently used and barely driven Mercedes-Benz GLA. More information about the 2016 Mercedes-Benz GLA: Mercedes-Benz enters the increasingly crowded luxury compact crossover segment with the GLA-Class. Its sedan underpinnings and small stature make it a nimble performer, with favorable comparison against competition from BMW and Audi. The high-performance GLA 45 AMG® takes things to a different level, however, and nothing from any manufacturer can rival it. Interesting features of this model are athletic handling, superb power in AMG® guise, and Available technology and safety features Why Mercedes-Benz of Temecula Welcome to Mercedes-Benz of Temecula. We are proud to say we have access to a wide selection of new and pre-owned Mercedes-Benz models. Offering a world-class guest experience and Preferred Owner amenities, we are sure to be your #1 destination for all your car buying, financing, and servicing needs. We invite you to visit our dealership at 40910 Temecula Center Drive in Temecula. This outstanding example of a 2016 Mercedes-Benz C-Class C 300 is offered by Mercedes-Benz of Temecula. Your buying risks are reduced thanks to a CARFAX BuyBack Guarantee. This vehicle has met all the exacting standards to be classified Certified Pre-Owned. The Mercedes-Benz C-Class C 300 is economically and environmentally smart. Mercedes-Benz clearly delivers on its promise to provide a fuel-efficient vehicle that has the great qualities you need in a vehicle. One of the best things about this Mercedes-Benz C-Class is that it has low, low mileage. It's ready for you to truly break it in. More information about the 2016 Mercedes-Benz C-Class: The C-Class has traditionally been Mercedes-Benz' entry-level car. However, with the arrival of the CLA, the C-Class is no longer the German automaker's least expensive model. Mercedes-Benz has packed the 2016 C-Class full of upscale technology, determined to make the car feel anything but entry level. Despite this move upmarket, pricing on the C-Class remains competitive with other European small sedans such as the BMW 3-series. The 2016 C-Class starts at around $40,000. 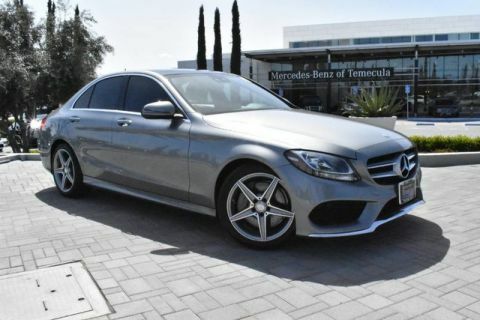 Strengths of this model include high-end features, all-wheel drive, Attractive modern styling, fuel-efficient diesel and hybrid engines, plus powerful turbocharged engines, and typical Mercedes-Benz luxury Why Mercedes-Benz of Temecula Welcome to Mercedes-Benz of Temecula. We are proud to say we have access to a wide selection of new and pre-owned Mercedes-Benz models. Offering a world-class guest experience and Preferred Owner amenities, we are sure to be your #1 destination for all your car buying, financing, and servicing needs. We invite you to visit our dealership at 40910 Temecula Center Drive in Temecula. 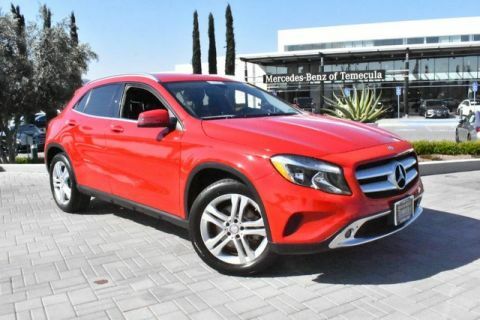 Mercedes-Benz of Temecula is honored to present a wonderful example of pure vehicle design... this 2016 Mercedes-Benz GLA GLA 250 only has 29,940mi on it and could potentially be the vehicle of your dreams! Only the CARFAX Buyback Guarantee can offer you the comfort of knowing you made the right purchase. Certified Pre-Owned means certified peace of mind. With this exceptional SUV, you'll get sport, utility, and comfort. If you are looking for a vehicle with great styling, options and incredible fuel economy, look no further than this quality automobile. It's not often you find just the vehicle you are looking for AND with low mileage. This is your chance to take home a gently used and barely driven Mercedes-Benz GLA. More information about the 2016 Mercedes-Benz GLA: Mercedes-Benz enters the increasingly crowded luxury compact crossover segment with the GLA-Class. Its sedan underpinnings and small stature make it a nimble performer, with favorable comparison against competition from BMW and Audi. The high-performance GLA 45 AMG® takes things to a different level, however, and nothing from any manufacturer can rival it. Interesting features of this model are athletic handling, superb power in AMG® guise, and Available technology and safety features Why Mercedes-Benz of Temecula Welcome to Mercedes-Benz of Temecula. We are proud to say we have access to a wide selection of new and pre-owned Mercedes-Benz models. Offering a world-class guest experience and Preferred Owner amenities, we are sure to be your #1 destination for all your car buying, financing, and servicing needs. We invite you to visit our dealership at 40910 Temecula Center Drive in Temecula. 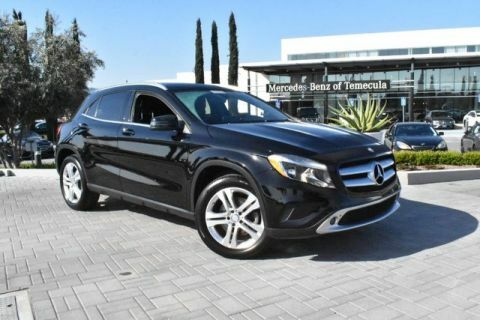 You can find this 2015 Mercedes-Benz GLA-Class GLA 250 and many others like it at Mercedes-Benz of Temecula. 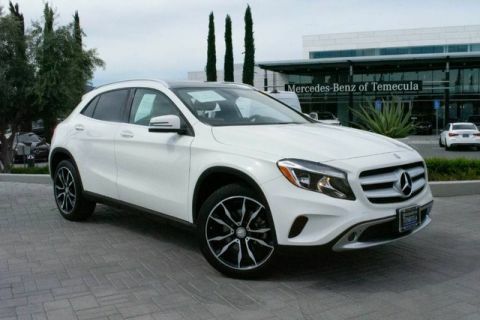 This 2015 Mercedes-Benz GLA-Class comes with a CARFAX Buyback Guarantee, which means you can buy with certainty. A rigorous inspection for safety and reliability makes this vehicle Certified Pre-Owned. This SUV is a superb example of what a tough, work focused vehicle should be. Exceptional towing, acceleration and torque will help you get the job done. 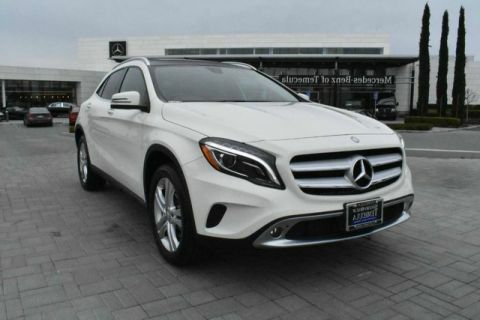 This 2015 Mercedes-Benz GLA-Class has great acceleration and wonderful styling without sacrificing exceptional fuel economy. With less than 20,879mi on this Mercedes-Benz GLA-Class, you'll appreciate the practically showroom newness of this vehicle. More information about the 2015 Mercedes-Benz GLA-Class: Mercedes-Benz enters the increasingly crowded luxury compact crossover segment with the GLA-Class. Its sedan underpinnings and small stature make it a nimble performer, with favorable comparison against completion from BMW and Audi. The high-performance GLA 45 AMG® takes things to a different level, however, and nothing from any manufacturer can rival it. Strengths of this model include superb power in AMG® guise, available technology and safety features, athletic handling, and Overall execution feels upscale and exclusive Why Mercedes-Benz of Temecula Welcome to Mercedes-Benz of Temecula. We are proud to say we have access to a wide selection of new and pre-owned Mercedes-Benz models. Offering a world-class guest experience and Preferred Owner amenities, we are sure to be your #1 destination for all your car buying, financing, and servicing needs. We invite you to visit our dealership at 40910 Temecula Center Drive in Temecula. Check out this gently-used 2017 Mercedes-Benz GLA we recently got in. Drive home in your new pre-owned vehicle with the knowledge you're fully backed by the CARFAX Buyback Guarantee. On almost any road condition, this Mercedes-Benz GLA GLA 250 offers solid performance, reliability, and comfort. Everyone hates the gas pump. Skip a few gas stations with this super fuel efficient Mercedes-BenzGLA. Take home this 2017 Mercedes-Benz GLA and enjoy the safety and added performance of AWD. More information about the 2017 Mercedes-Benz GLA: Mercedes-Benz enters the increasingly crowded luxury compact crossover segment with the GLA-Class. Its sedan underpinnings and small stature make it a nimble performer, with favorable comparison against competition from BMW and Audi. The high-performance GLA 45 AMG® takes things to a different level, however and nothing from any manufacturer can rival it. Interesting features of this model are athletic handling, superb power in AMG® guise, and Available technology and safety features Why Mercedes-Benz of Temecula Welcome to Mercedes-Benz of Temecula. We are proud to say we have access to a wide selection of new and pre-owned Mercedes-Benz models. Offering a world-class guest experience and Preferred Owner amenities, we are sure to be your #1 destination for all your car buying, financing, and servicing needs. We invite you to visit our dealership at 40910 Temecula Center Drive in Temecula. Mercedes-Benz of Temecula has a wide selection of exceptional pre-owned vehicles to choose from, including this 2016 Mercedes-Benz GLA. This 2016 Mercedes-Benz GLA comes with a CARFAX Buyback Guarantee, which means you can buy with certainty. This a worry-free vehicle that has passed our certification process. The Mercedes-Benz GLA GLA 250 offers a fair amount of utility thanks to its advanced features and unique styling. It's also quite sporty, and injects an ample amount of handling chutzpah into the ridin'-high body of a family-friendly SUV. The Mercedes-Benz GLA GLA 250 is economically and environmentally smart. Mercedes-Benz clearly delivers on its promise to provide a fuel-efficient vehicle that has the great qualities you need in a vehicle. No matter the varying terrain or weather conditions, this all-wheel drive vehicle will help you reach your destination safely and securely in a well-appointed cabin with many features found on cars twice the price. A Mercedes-Benz with as few miles as this one is a rare find. This GLA GLA 250 was gently driven and it shows. More information about the 2016 Mercedes-Benz GLA: Mercedes-Benz enters the increasingly crowded luxury compact crossover segment with the GLA-Class. Its sedan underpinnings and small stature make it a nimble performer, with favorable comparison against competition from BMW and Audi. The high-performance GLA 45 AMG® takes things to a different level, however, and nothing from any manufacturer can rival it. This model sets itself apart with athletic handling, superb power in AMG® guise, and Available technology and safety features Why Mercedes-Benz of Temecula Welcome to Mercedes-Benz of Temecula. We are proud to say we have access to a wide selection of new and pre-owned Mercedes-Benz models. Offering a world-class guest experience and Preferred Owner amenities, we are sure to be your #1 destination for all your car buying, financing, and servicing needs. We invite you to visit our dealership at 40910 Temecula Center Drive in Temecula. Check out this gently-used 2015 Mercedes-Benz GLA-Class we recently got in. Your buying risks are reduced thanks to a CARFAX BuyBack Guarantee. We at Mercedes-Benz of Temecula are very meticulous. This hand-selected Certified Pre-Owned vehicle has surpassed our own standards and requirements. Treat yourself to an SUV that surrounds you with all the comfort and conveniences of a luxury sedan. Stylish and fuel efficient. It's the perfect vehicle for keeping your fuel costs down and your driving enjoying up. The incredibly low mileage and painstaking upkeep on this Mercedes-Benz GLA-Class makes it a once-in-a-lifetime deal that won't last long! Call us today to reserve your test drive! More information about the 2015 Mercedes-Benz GLA-Class: Mercedes-Benz enters the increasingly crowded luxury compact crossover segment with the GLA-Class. Its sedan underpinnings and small stature make it a nimble performer, with favorable comparison against completion from BMW and Audi. The high-performance GLA 45 AMG® takes things to a different level, however, and nothing from any manufacturer can rival it. Interesting features of this model are superb power in AMG® guise, available technology and safety features, athletic handling, and Overall execution feels upscale and exclusive Why Mercedes-Benz of Temecula Welcome to Mercedes-Benz of Temecula. We are proud to say we have access to a wide selection of new and pre-owned Mercedes-Benz models. Offering a world-class guest experience and Preferred Owner amenities, we are sure to be your #1 destination for all your car buying, financing, and servicing needs. We invite you to visit our dealership at 40910 Temecula Center Drive in Temecula. 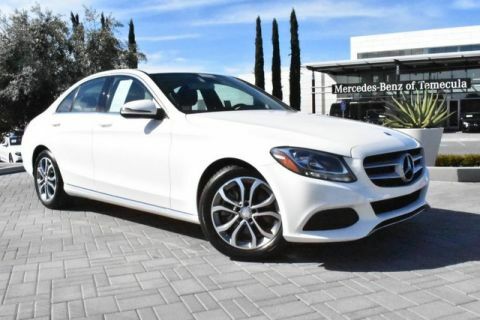 Mercedes-Benz of Temecula is honored to present a wonderful example of pure vehicle design... this 2016 Mercedes-Benz C-Class C 300 only has 24,740mi on it and could potentially be the vehicle of your dreams! CARFAX BuyBack Guarantee is reassurance that any major issues with this vehicle will show on CARFAX report. This is a Certified Mercedes-Benz C-Class, which means it has been thoroughly inspected against a set of stringent standards. Only vehicles that pass this inspection can be sold as Certified. This vehicle was engineered to be both economically and environmentally friendly with exceptional fuel efficiency. In addition to being well-cared for, this Mercedes-Benz C-Class has very low mileage making it a rare find. More information about the 2016 Mercedes-Benz C-Class: The C-Class has traditionally been Mercedes-Benz' entry-level car. However, with the arrival of the CLA, the C-Class is no longer the German automaker's least expensive model. Mercedes-Benz has packed the 2016 C-Class full of upscale technology, determined to make the car feel anything but entry level. Despite this move upmarket, pricing on the C-Class remains competitive with other European small sedans such as the BMW 3-series. The 2016 C-Class starts at around $40,000. This model sets itself apart with high-end features, all-wheel drive, Attractive modern styling, fuel-efficient diesel and hybrid engines, plus powerful turbocharged engines, and typical Mercedes-Benz luxury Why Mercedes-Benz of Temecula Welcome to Mercedes-Benz of Temecula. We are proud to say we have access to a wide selection of new and pre-owned Mercedes-Benz models. Offering a world-class guest experience and Preferred Owner amenities, we are sure to be your #1 destination for all your car buying, financing, and servicing needs. We invite you to visit our dealership at 40910 Temecula Center Drive in Temecula. 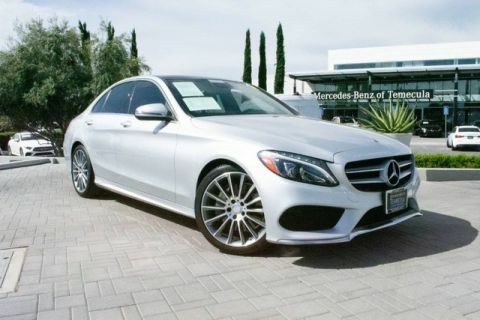 This 2017 Mercedes-Benz C-Class C 300 is offered to you for sale by Mercedes-Benz of Temecula. This vehicle is loaded with great features, plus it comes with the CARFAX BuyBack Guarantee. Why spend more money than you have to? This Mercedes-Benz C-Class will help you keep the extra money you'd normally spend on gas. Low, low mileage coupled with an exacting maintenance program make this vehicle a rare find. The Mercedes-Benz C-Class C 300 will provide you with everything you have always wanted in a car -- Quality, Reliability, and Character. Why Mercedes-Benz of Temecula Welcome to Mercedes-Benz of Temecula. We are proud to say we have access to a wide selection of new and pre-owned Mercedes-Benz models. Offering a world-class guest experience and Preferred Owner amenities, we are sure to be your #1 destination for all your car buying, financing, and servicing needs. We invite you to visit our dealership at 40910 Temecula Center Drive in Temecula. Contact Mercedes-Benz of Temecula today for information on dozens of vehicles like this 2017 Mercedes-Benz C-Class C 300. Your buying risks are reduced thanks to a CARFAX BuyBack Guarantee. This vehicle has met all the exacting standards to be classified Certified Pre-Owned. The less money you spend at the pump, the more money you'll have to spend on you. So why not consider this wonderfully styled, fuel-efficient Mercedes-Benz C-Class. With less than 22,937mi on this Mercedes-Benz C-Class, you'll appreciate the practically showroom newness of this vehicle. 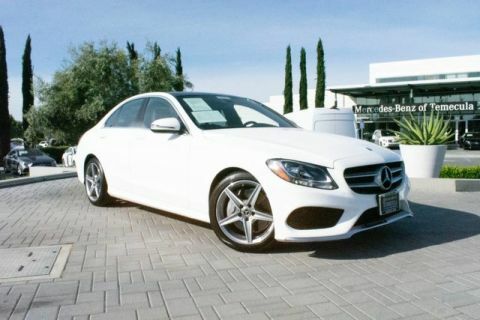 Why Mercedes-Benz of Temecula Welcome to Mercedes-Benz of Temecula. We are proud to say we have access to a wide selection of new and pre-owned Mercedes-Benz models. Offering a world-class guest experience and Preferred Owner amenities, we are sure to be your #1 destination for all your car buying, financing, and servicing needs. We invite you to visit our dealership at 40910 Temecula Center Drive in Temecula. When you buy one of our Mercedes-Benz Pre-owned cars, you get the luxury of a Mercedes-Benz vehicle for less. 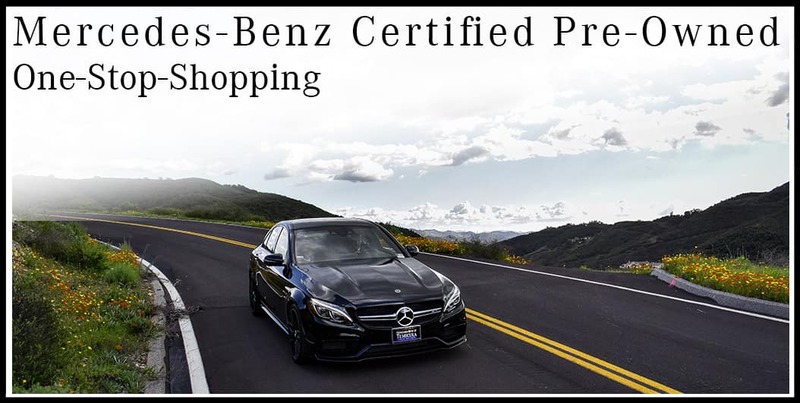 If you’ve been looking for trustworthy pre-owned car dealerships in Temecula, look no further than Mercedes-Benz of Temecula. We sell pre-owned Mercedes-Benz cars in excellent condition. Whether you are looking for a pre-owned E 400 Sedan, a pre-owned Mercedes-Benz SUV for sale, or another type of make/model, our team at Mercedes-Benz of Temecula can help find the right one for you! Why Buy a Pre-Owned Car From Us? Contact us at Mercedes-Benz of Temecula near Murrieta and Sun City to schedule a test drive with one of our pre-owned Mercedes-Benz models today!